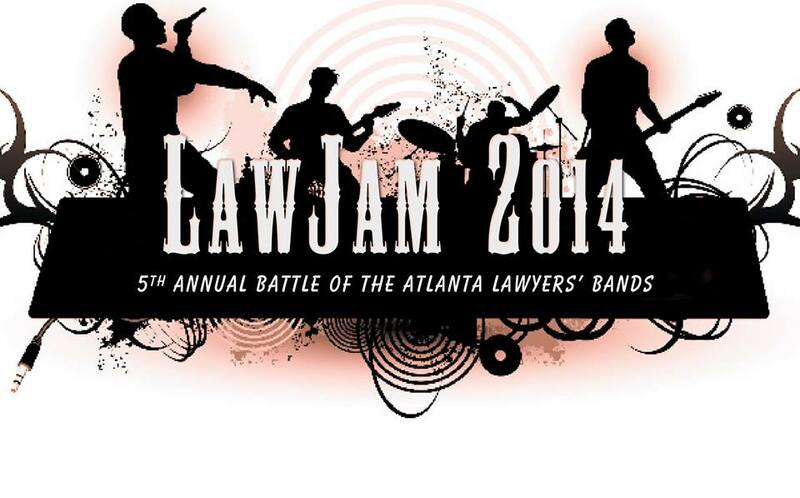 Three judges, seven bands, and over 1,000 lawyers, sponsors, and guests showed up to Variety Playhouse in Atlanta on Saturday, June 7, 2014 ready to rock ‘n roll. And did they ever. For LawJam 2014. What is LawJam? It is a battle of the bands, all of which are composed of at least one lawyer. LawJam is the annual signature event of the Atlanta Bar Foundation, which is the charitable arm of the Atlanta Bar Assocation. Buck O Five, Class Action, Comrade Blue, Nonbillable Hours, R & B, Inc., Silent & Listen, and The Psychics rocked the house with originals and covers alike. Kaedy Kiley of 97.1 The River, Lisa Moore of The Moore Firm LLC, and Vic Valmus of Moore Ingram Johnson & Steele, LLP served as the night’s judges. Bert Reeves, of Garrett McNatt Hennessy & Carpenter, 360, LLC emceed. R & B, Inc. turned it up to 11 and stole the show with their special blend of funk. Buck O Five won Best Original Song for their song entitled “Girl”. The audience voted, cheered, rocked out, and danced the night away while the judges offered lively commentary and scores. Why is this annual event worth supporting? More than $50,000 was raised through donations, ticket sales, and sponsorships, all of which goes to support pro bono legal services and Atlanta Bar youth programs. We look forward to seeing you at LawJam 2015. Rock on. This entry was tagged Atlanta Bar Association, Atlanta Bar Foundation. Bookmark the permalink.